Here’s something you don’t get to see everyday – a Nokia Lumia 525 Windows Phone smartphone hacked to run CyanogenMod 13 ROM based on Android 6.0.1 Marshmallow. 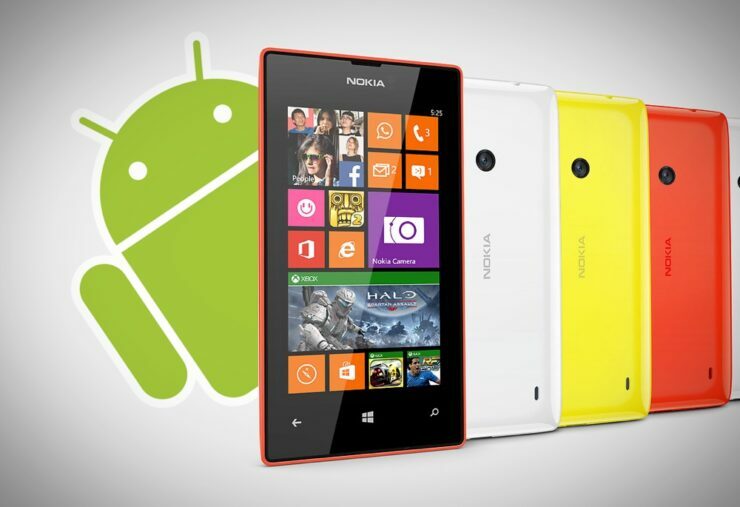 Nokia and Microsoft have released a handful of Lumia devices with the Lumia 525 easily being one of their best to date. Why is that so? Because it was the perfect blend of price and performance. But things weren’t that rosy when it came to the operating system it shipped with – Windows Phone. Originally shipped with Windows Phone 8 and later update to 8.1, Microsoft’s mobile OS is definitely not everyone’s cup of tea. But luckily for us, a developer has managed to rid the Lumia 525 of its Windows Phone shackles and install a CyanogenMod 13 ROM on it, based upon Android 6.0.1 Marshmallow. The results? Check out the video below and then we’ll get into more details. The developer behind this project decided to release the tools necessary to flash the bits onto a Lumia 525, but sadly enough, his device gave up the ghost on him, causing delays. But nonetheless, a promise has been made for its release, and you can follow all the progress by heading over to this forum thread over at XDA. Interested folks will also be interested to learn that the project can be modified to run on a Lumia 520 smartphone, which also happens to be a Windows Phone powered device. Up until now the only Windows-powered device being able to pull off such a feat was the HTC HD2. Apart from being able to run Windows Mobile out of the box, the beast of a smartphone handles Windows Phone as well as Android like it’s a walk in the park. And now, with the Lumia 525 and 520 joining the party, it’ll be interesting to see if those devices take the HD2’s legacy even further by supporting operating systems outside of their defined space. We’ll keep our users updated regarding this project’s progress, so stay tuned for more coverage in the days to come!